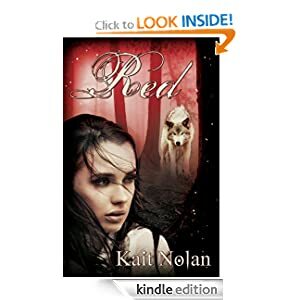 When I looked at RED and ANNA DRESSED IN BLOOD on Amazon yesterday, Red had 42 reviews and Anna had 175. This isn’t surprising. Anna is a traditionally published book by an author who has been traditionally published before. Red is an indie published book, and the author’s first venture into a different niche (from PR/UF to YA). There should be a tremendous difference, not only in copies of the books sold and people who have actually read and loved them, but also in people who have been exposed to the book and/or author on any level. In the DABWAHA tournament, that matters. Few, I suspect, will have read every book named as a finalist, so a lot of people will be voting merely on any impression they have. It’s like how the incumbent is more likely to win an election. Not necessarily because of their performance, but because they have that bit of recognition and credibility over the other guy. So how did Kait, publisher-free and all on her own, who I’m pretty sure hasn’t sold as many copies as Kendare, pull this off? Well, partly because she didn’t do it alone. Kait spent her day on the road, traveling for her job. But she did an incredible job of mobilizing her people to help her succeed. They helped her because Kait is good at establishing and maintaining relationships, and because she gives to the writing community all the time. She has a very large following on her blog, many of whom aren’t really interested in her brand of fiction. They’re there because she constantly provides intelligent perspective on industry news and other topics to help writers both indie and trad. She founded and maintains the #ROW80 community, which continues to maintain a sense of community even where other writer groups have expanded and…jumped the shark, as it were. She helped to found IBC (Indie Book Collective), and before stepping down from that organization, put in a tremendous amount of time gathering and making available tutorials and other reference material for new indie authors. Self-confident and friendly by nature, Kait’s the kind of personality that shines on Twitter without allowing it to take over her life and take the place of, you know, writing books. So in addition to the fans who have flocked to her, she’s also made a lot of friends in groups like #MyWANA. And that’s probably a big factor: Kait makes friends. You see her out and about, networking in the community, and that’s a big part of why she even had the reach to pull in all those votes yesterday. But you see her talking with people, not at them. So when she asked for help, people were motivated, not only to take 30 seconds to cast a vote in her favor, but to ask their friends, to keep an eye out for #TeamKait messages to retweet throughout the day. I was on TweetDeck yesterday. The first time I’ve spent any time there in…I don’t know, months. And yeah, I wasn’t very motivated when I got there. I had to be bullied and strong-armed, because such are my personal issues with Twitter, and it was hard to imagine having to show up after my long absence and start asking for favors. I was put in the position of being one of THOSE people. Which, you know, was probably more of a problem in my head than in anyone else’s–as is usually the case–because at least I was spamming for someone else. And I stayed there all day and RT’d things on other topics or for other DABWAHA brackets, and sent out friendly @s throughout the day. By the time I went to bed last night, I was exhausted. I’m not the sort who can focus on more than one thing. I was on this all day long, being friendly all day long. I’m nice–soooo nice it’s probably a disorder–but I’m not friendly because that’s an outward-facing trait and it’s an effort. But it’s not a bad sort of effort. And like that high you get when you finally force yourself to exercise, I got some genuine enjoyment out of yesterday when my presence was warmly received by several old friends who don’t seem to fault me for how I am or the absences that causes. I think I may even go back. With regard to social media, Kait Nolan is how it’s done. Follow her, and follow her lead. Who knows how the rest of DABWAHA will turn out. I believe Kait is the only indie in the bunch, and just her making it out of the first bracket is such a huge accomplishment. It means the world to her. For authors, the reach we think we have so often doesn’t translate directly to sales and readers. We so often wonder if we’re spinning our wheels and wasting our time. Kait has put tremendous time and effort into building her social network, so not only is this an honor for her, but it’s validation. Validation rocks. So I want to thank all of you who took the time to support her, especially if there were any of you who did it because I, as a small part of that network, asked you to, and I really hope you’ll be willing to do so for as long as she can hang on in this tournament.